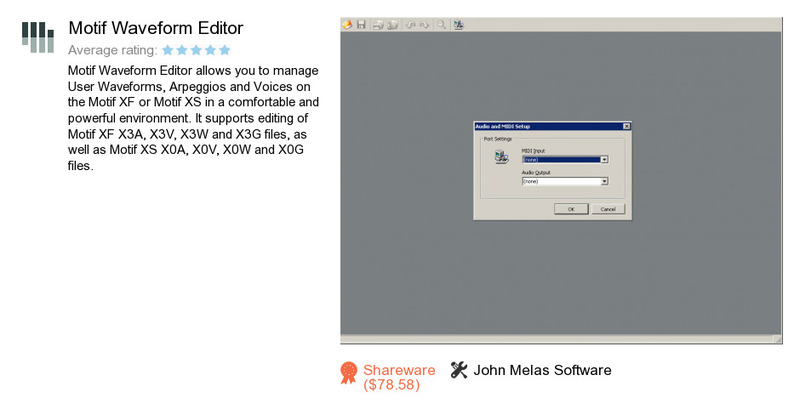 Motif Waveform Editor is an application developed by John Melas Software. We know of versions 2.0, 1.8, 1.7, 1.6, 1.5, 1.4, 1.0. Version 2.0.0 is downloadable at our site. Motif Waveform Editor distributive has a size of 10,384,816 bytes.